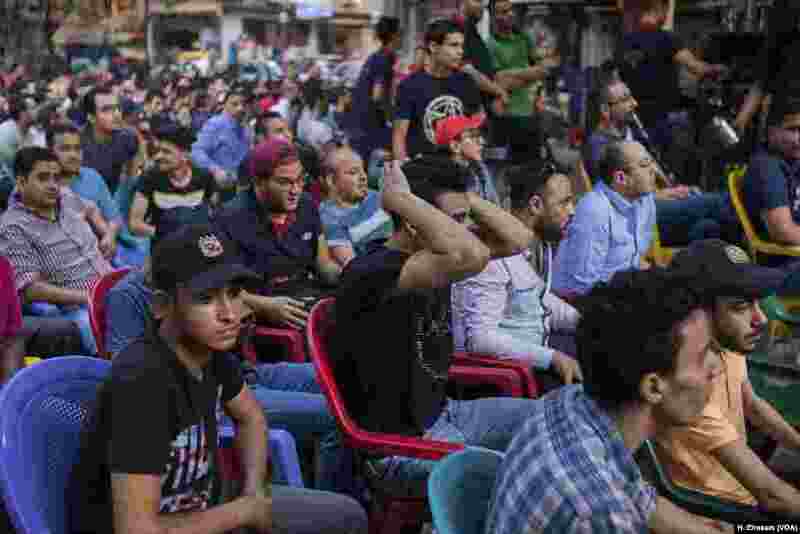 1 Egyptian football fans gather on a street coffee shop to watch the last match between Egypt and Saudi Arabia, June 25, 2018, during World Cup 2018, in Cairo’s Shubra district. 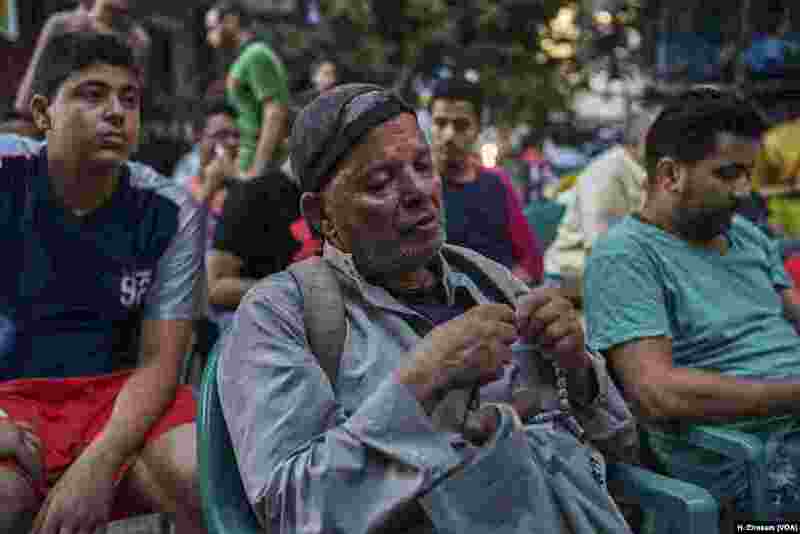 2 A blind man among the fans watching the match between Egypt and Saudi Arabia listens to the commentator in Shubra, Cairo, Egypt. Fans knew their team, disqualified, would go home after the match but many chose to stay and watch until the end. 3 The game is lost, but the exuberance remains. 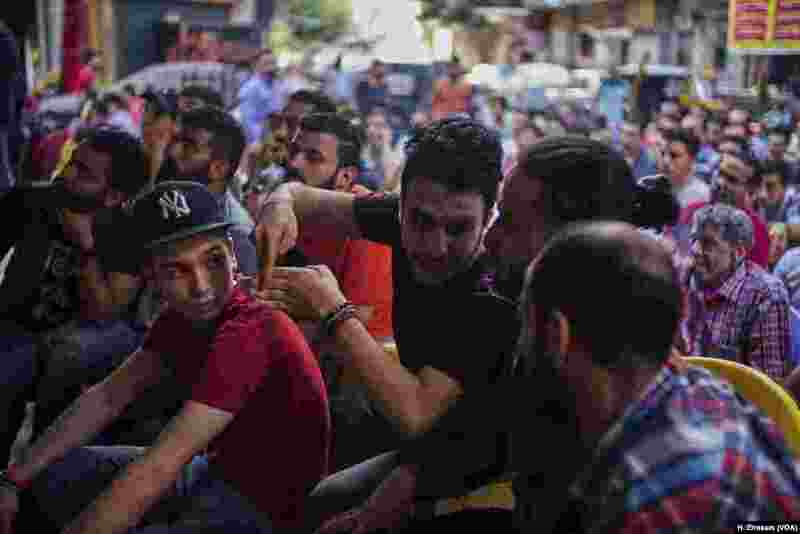 A fan explains to his friends how wrong moves led to Egypt’s defeat. 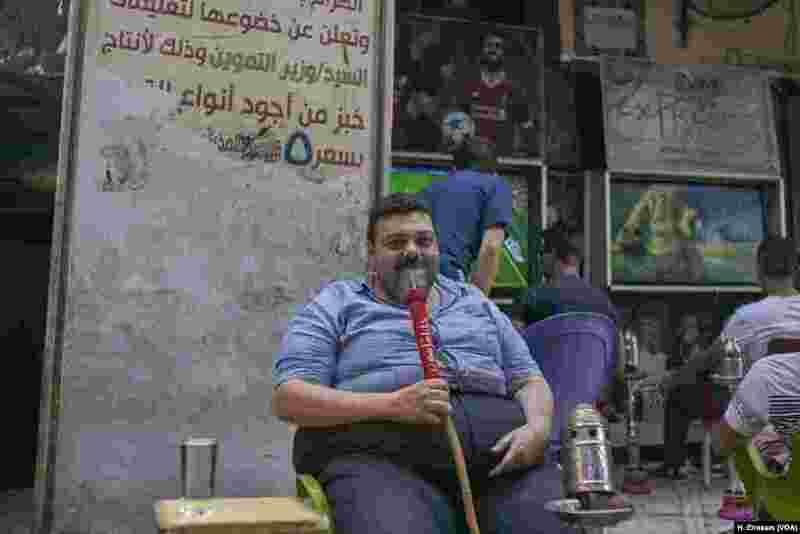 4 Adel, 42, enjoys a smoke as his country’s team loses its third and final match in the World Cup 2018 in Russia.